It is going to be a bit strange whenever I listen to one of my favorite songs of all-time. "Erin with an E" by the Impossibles has a great hook, but with Superman changing his secret identity, "I may look like Clark Kent, but I'm no Superman" may not resonate with my kids. I also don't think changing it to "I may look like Archie Clayton" will have the same impact. What is a nerdy dad to do? I guess I will escape in some of the other great titles that dropped this week. 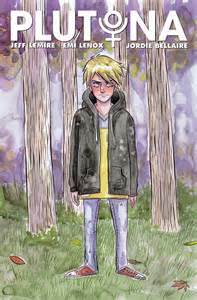 Brian K. Vaughan gifts us with a new series and Jeff Lemire delivers issue #2 his Stand By Me-esque gem, Plutona. Plutona #2 - Jeff Lemire really knows how to tug at my heart strings. As a father, I find that all of the children and their relationships with their parents really resonate with me. Plutona is the story of a group of kids who stumble upon a dead body in the woods. What is odd is how it is the body of the superhero Plutona. The kids grapple with what to do with the body. Do they alert authorities and risk the information getting to the super villains? Do they take pictures of her to sell to various media outlets? It is fascinating to watch the kids attempt to sort out a situation that nobody ever dreams of being in. One of my favorite additions is the secondary story that is included at the end of each issue. Lemire draws the secondary story about Plutona's last mission. What really draws me in is that a good amount of it is from the perspective of Plutona's daughter. I'm going to need a box of tissues. I got something in my eye. 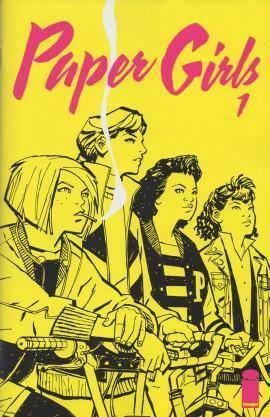 Paper Girls #1 - Brian K. Vaughan has teamed up with Cliff Chiang to deliver a stunning debut issue this week. The buzz behind books by Vaughan is real. When I tried to buy this at my LCS, I was informed someone earlier that day bought all 26 copies the store ordered! Thankfully I was able to pick up a copy via ComiXology. I will say that the hype is real. The premise revolves around a group of four newspaper delivery girls who deliver in the Cleveland suburb of Stony Stream. During the morning's delivery, the girls stumble upon three mysterious men dressed up as ghosts. After an altercation, we learn that they are hiding something in a house that is under construction that appears to be some sort of alien pod. Knowing Vaughan there is a lot more to uncover in this sleepy little town. I am officially subscribing to The Cleveland Preserver. 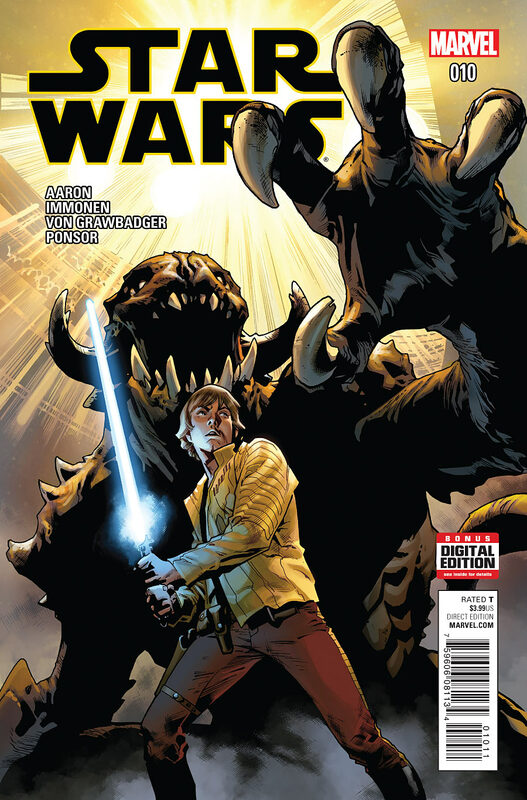 Star Wars #10 - Looks like Luke is going to get his lightsaber training in battle. Grakkus the Hutt, who has a Jedi museum in his palace, plans on using Luke as a form of entertainment for other smugglers around the galaxy. The difference is, instead of facing a lion in gladatorial combat, Luke is going to face something much more fierce, and if he survives round one it sounds like Vader will be the main attraction. I still can't recommend this series enough for Star Wars fans who need something to tide them over until December. Great stuff. 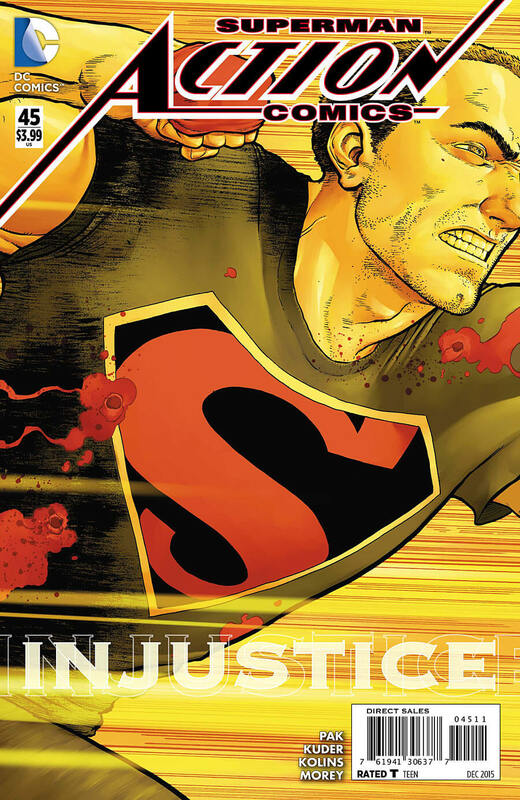 Action Comics #45 - A lot has happened to Superman since I last picked up one of his comics. His secret identity is common knowledge, he lost his super powers, and most of Metropolis has turned against him. This is due to some creature known as the Wrath who orchestrated the whole thing and is the current target of Superman. What is odd to me, is that in order to continue his investigation of what happened to him, Clark Kent is no more. Now we deal with Archie Clayton, a delivery boy who works for a company that provides towels and linens for corporations. Despite not having read a Superman book in quite some time, this was very entertaining and will bring me back for issue #46.